Jake worked his way through the ranks at Nene Park, starting out in the Club’s youth system, and progressing via a number of reserve team games to make a first appearance in the Hillier Senior Cup tie against Cogenhoe United in October 2006, making a League appearance at the end of the 2006/2007 season. He signed a one year contract on 17 May 2007 and after several substitute appearances during the following season, he had an extension option taken out on his contract by the club to keep him at Nene Park for the 2008/2009 season. Jake went out on loan to Solihull Moors in November 2008, and he later signed a further deal to keep him at Nene Park until the summer of 2011. He made some 25 League appearances in 2008/2009 with an extended run in the first team in March 2009, playing first in central midfield, then in right midfield, and then at right-back. He scored his debut goal for the club in the final game of that season – the 3-1 victory over Woking. 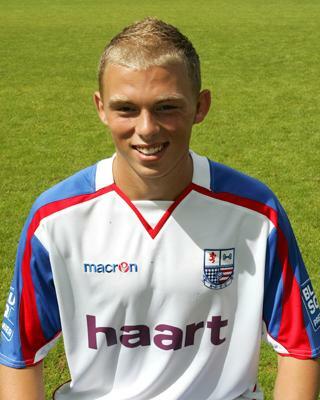 At the start of September 2009 he went on loan to Conference North side Ilkeston Town. He also appeared for them in the FA Cup, helping them into the fourth Qualifying Round. 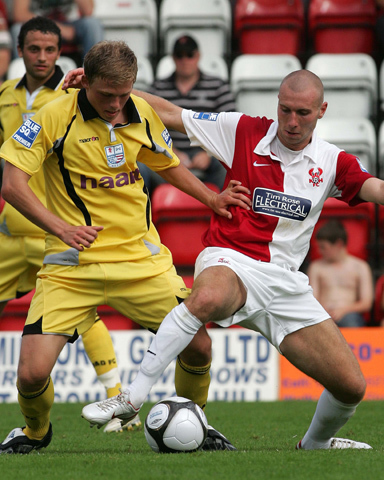 He returned to the Diamonds at the end of 2009, but was then sent on loan to St Albans City at the end of January 2010, for a further two months. 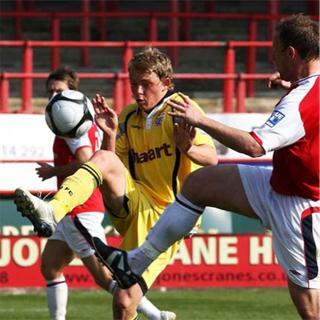 He returned to Nene Park towards the end of the 2009/ 2010 season, and made his first Diamonds start in their final away game of the regular season – the 1-0 victory at Wrexham, but that proved to be his final game. He left by mutual consent and joined Conference South side Tonbridge Angels on 21 May 2010. Jake was released by the Angels in early March 2012, and joined Isthmian Division One South side Whitstable Town later in the month. After just over a season with the Oystermen, he joined fellow Isthmian Division One South side Folkstone Invicta on 8 June 2013. He scored once in 12 appearances for Invicta, before joining his local club – Southern Counties East League side Tunbridge Wells on 13 December 2013. After a period with Sittingbourne he joined Dorking Wanderers and left there prior to the 2017/18 season, rejoining Tunbridge Wells.